First session using the 3D graphing capabilities of Spectrum Lab. The A form represents echo’s that form a vertical trace and the B form horizontal. 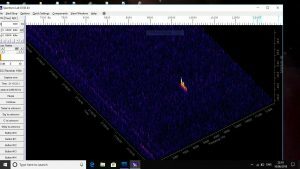 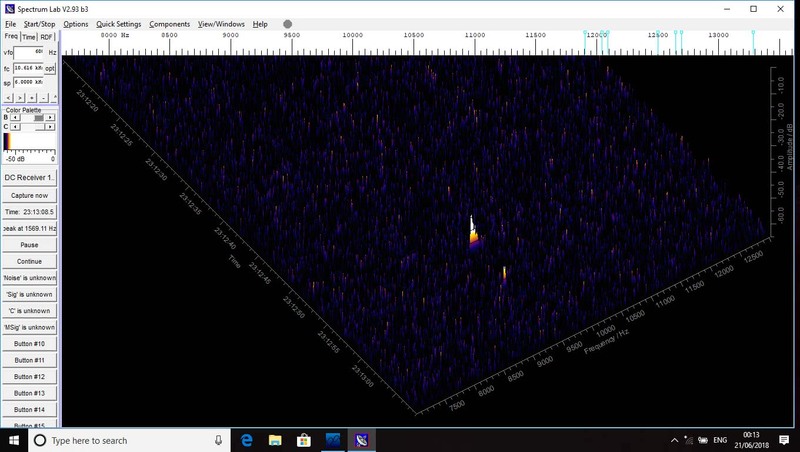 This suggests that meteors are entering the antenna beam at two angles. In addition to the entry direction sensitivity is better than the Airspy software.